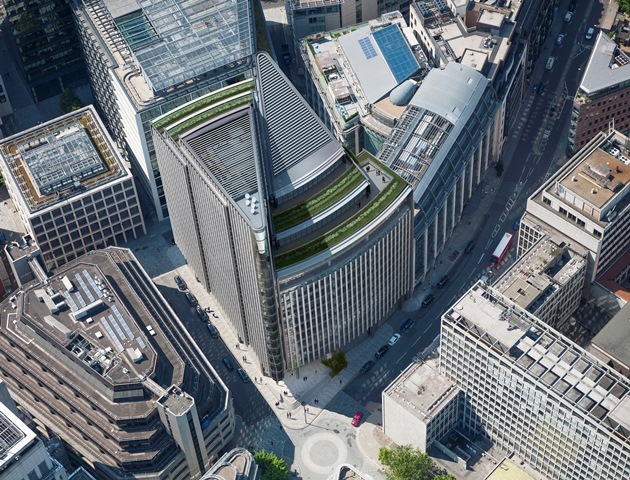 Overbury selected to complete significant 265,000 sq ft fit out in London. Overbury has been contracted to build and advise on the redevelopment of Deloitte’s UK headquarters, one of the first projects in the UK to target both a BREEAM Outstanding rating and a WELL Building Standard Gold certificate. Overbury has begun enabling work on the 265,000 sq ft fit out, which includes the basement, lower ground floor, finishes to the main reception, several client floors, and the workplace and amenities floors at One New Street Square, which the global financial advisory firm has taken on a 20-year pre-let. Deloitte already occupies numerous buildings at the New Street Square campus so the works will also include the installation of two link bridges to connect One New Street Square with the adjacent building, Two New Street Square. The project is one of the first in the UK to simultaneously target WELL Building Standard certification and a BREEAM Refurbishment & Fit Out (RFO) 2014 rating. The American WELL Building Standard gradually made its way to the UK in the last 12 months and Deloitte’s London fit out project is Overbury’s first to target the standard. It is the only building assessment standard that’s entire focus is on the occupants of a space. It measures occupant wellness by focusing air, water, nourishment, light, fitness, comfort and mind, awarding certification to those that meet its stringent benchmarks. The other targeted standard, BREEAM RFO 2014, is the first fit out specific scheme from the BRE and it has seen greater uptake in 2016 as the industry comes to grips with its requirements. So far, due to its challenging credits, only two projects have received an Outstanding rating (November 2016). Overbury environmental and sustainability manager Zoë French, who is also a WELL and BREEAM Accredited Professional, comments: “The whole team is excited to be involved in this ambitious project, driving innovation, best practice and overcoming whatever challenges throughout its course. The WELL Building Standard is already encouraging the team to think differently and find creative solutions that will not only meet the standard’s requirements, but also bring benefits to the wellbeing of the site workforce. “We need to ensure everything onsite meets the stringent thresholds of the WELL criteria. We’ve created a suite of bespoke documentation and training to ensure compliance and to collect data, which will prove how the specified design has translated onsite. When the project is complete, external verification will ensure that the preconditions and optimisations targeted have been achieved. To help this process, we’ll do our own testing to ensure both air and water quality meets the required standards. Completion of the Overbury fit out is anticipated in December 2017, with Deloitte aiming to occupy its expanded headquarters from the beginning of 2018.